MyShopNGo provides a huge range of electrical, safety, tooling and hardware products for level 1 and 2 ASPs, rated contractors, registered electrical contractors (REC), accredited services providers and anyone working on a utility network. Our focus is on providing you with great service and quality products at the best prices. All of our products are sourced from leading suppliers such as TE Connectivity, Sicame, Balmoral Engineering, PLP, Cabac and Honeywell, and because we have no accounts and very little overheads, we’re able to offer you the most competitive pricing possible. MyShopNGo is owned and operated by All Round Supplies, Australia’s leading supplier of electrical infrastructure products. All Round Supplies was established over 15 years ago by Earl Palfrey, who saw the vast potential to meet the demand for contestability in the power distribution industry. 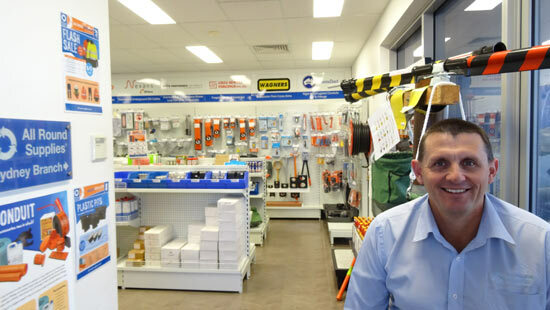 Within seven years, the company had won the respect of both contractors and manufacturers as one of the most knowledgeable and experienced distributors of utility-approved products in the industry, expanding from its Sydney base to branches in Nowra and Newcastle. In 2015, All Round Supplies introduced MyShopNGo for electrical contractors working in remote areas with limited access to supplies. Faster and more convenient than signing up for an account, MyShopNGo offers premium products at competitive prices, delivered straight to your door. With no need to worry about opening and closing times, you can shop anytime you like, and from the convenience of your own home or work site. The best products. The best prices. We stock products from the world’s leading manufacturers, and our streamlined process allows us to offer you the lowest per unit prices available. It’s easy to find what you’re looking for. Browse through our categories, or simply search by product name, supplier or ARS stock code. MyShopNGo makes shopping online quick and easy – as it should be! Select your items, pay securely, and have them delivered straight to your door. We currently have three branch/warehouse locations in New South Wales. You can place your order online and pick up from our main warehouse in Prestons (Sydney). Note: No local pickups after 3:15pm. Note: No on-line order pickups from this location.